When someone you love is under the weather, in the hospital, or struggling with a chronic condition, your heart always goes out to them and you can't help but start thinking of heartfelt get well gift ideas. We know it is always hard to watch a friend or loved one undergo a surgery or fall sick due to illness, but when these occasions do happen, you have to ask yourself, “What kind of get well gift would make me feel better in this situation? What would touch my heart and warm my soul? What would cheer me up and make me smile? And which gift would I actually find useful on a daily basis?” Asking yourself these types of questions is how you can come up with the best get well gift ideas. Any gift that will touch your heart is most likely to touch the recipient’s, too. A wisely chosen get-well gift can help hospital or home care patients feel loved and taken care of. 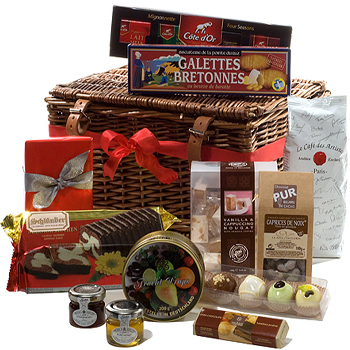 Thoughtful gifts that suit the recipient's taste can make the time spent recovering from an operation or suffering from an illness easier and much more pleasant. There's no need to spend a lot of money on big showy gifts because usually small heartfelt offerings that suit the occasion and the patient are the best. Send a colorful bunch of their favorite flowers, cheerful balloons, a funny drawing — anything that adds beauty, color, or even fun to their surroundings. Hospital patients are the first to appreciate your gesture as it will make their room more cozy and like home. Give them a little token, religious, or other meaningful symbol — something easy to carry around as a reminder of your love and care. Plush stuffed toys of their favorite animal or cartoon character are a great idea for both kids and grown-ups. Do you know that laughter can lower both blood pressure and blood sugar? Make your dear recipients laugh with funny cards and messages, entertaining videos from the internet, jokes or anything that can raise their spirits and make them smile and help them heal. Provide crossword puzzles, computer games, magazines, books, a deck of cards—anything that entertains the brain, make them busy and help to while away the time. But remember to match your choice with the patient's condition. For example magazines and puzzles are good for those who are able to sit up in bed, but totally inappropriate for patients in more serious condition who aren't able to sit up very much. In this case a CD with their favorite music, an audio book, or a funny movie will be appreciated the most. Great food is very comforting for most of us especially when undergoing some conditions. If your recipient doesn't have any food restrictions, send them their favorite pizza, deli tray, a home-cooked meal, or a basket of snacks and sweet treats - anything that will make their life sweeter and tastier. Be careful with your choice if the patient is kept on a diet. In this case carefully examine the forbidden food and choose your gift accordingly. When searching for get well gift ideas for friends and family, always keep in mind that it’s your thought that counts in the first place. Be sure to look for products that will make your recipient feel better, lift their spirits, and put them on the road to recovery. From beautiful flowers and balloons to brighten the environment to serious gifts to aid in their recovery, get well gift ideas are only limited by the scope of your imagination. Nevertheless, no matter which present you decide to give, they are sure to be very appreciative of your thoughtful and generous gesture!